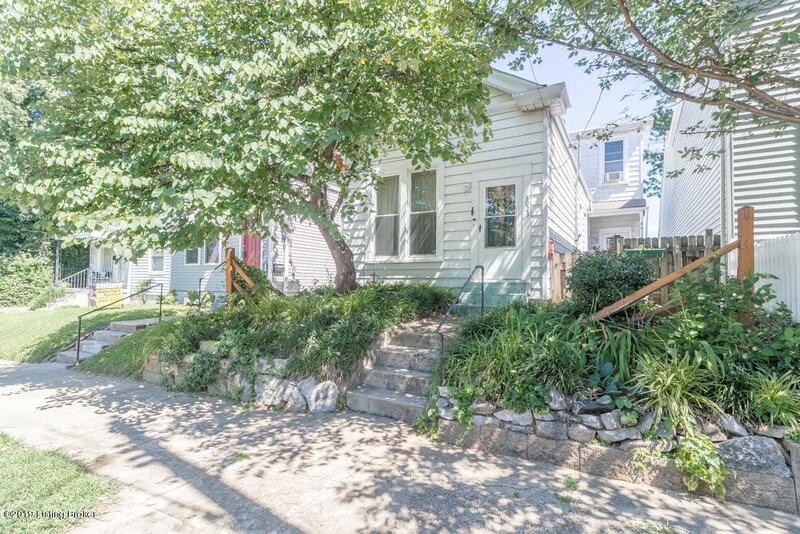 EXCITING location with the ability to enjoy the fine restaurants on Bardstown Rd/ Highlands and Baxter or just down around the corner on Swan St. It is also within blocks of the Flea off Market, the art district and brew houses and nightlife of the city. Quick access to the interstate for commutes makes it a prime location as well. Built on a limestone foundation which dates it being built before 1900's. Brick foundations were used after the 1890's. The shotgun camelback, which was built on the back to avoid taxes during the times for the number of stories on the street. It gives it the cozy cottage feeling. The large windows with original molding allow the sunlight in during the day and the large solid wood interior doors creates an easy flow from room to room.The front yard is covered in perennials which all bloom in the spring and summer giving beauty and life to the front of the house and allows for little yard work. In the backyard we have planted a blueberry bush, a Blackberry bush and have had small gardens perfect for entertaining or relaxing.